Just about every one of us knows green tea as one of the healthiest beverages on the planet, though, green tea has another form you might be forgetting about. A form that takes just about everything great about green tea and amplifies it – matcha powder. Matcha powder is made from ground green tea leaves and is a potent antioxidant. These antioxidants allow matcha to help the body to potentially fight cancer, heart disease and even type 2 diabetes. If you’re interested in learning some great, easy ways to cook with matcha green tea powder, then check out our seven recipes and tips below. A great perk of Matcha being powdered is that you can seamlessly add it to just about every recipe that has flour involved. Consider adding some organic matcha powder into your cookies, muffins, cakes and even pancakes! Make sure not to add too much, just a tablespoon or so. You’ll notice a green tinge to your baked goods, which might make them more interesting and Instagrammable on St. Patricks Day. 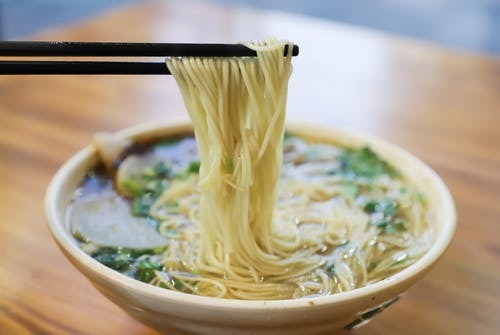 Another great way to add matcha to your homemade meals is to make noodles or pasta at home and add Matcha to the mix. Again, don’t add too much, just enough to your liking. You’ll give your pasta and noodles a great green tinge and you’ll get a steady caffeine boost and a dose of polyphenols which can help manage your blood sugar during dinner in the evening. Similar to our baked goods tip, matcha powder is a godsend for baked breakfasts. The caffeine content is higher than tea and will certainly wake you and your family up. Plus, adding matcha to breakfast can be as simple as adding a tablespoon to your waffle, pancake or scone mix. You can even sprinkle some matcha powder into your breakfast bowl’s yogurt and mix it up. Who doesn’t want a caffeine and antioxidant boost for breakfast? Not specifically cooking, however, virtually every drink you make is calling out for a matcha powder boost. Whether you’re making a cold or hot beverage just add some matcha powder – unless it’s almost bedtime. Add a teaspoon or two to your morning smoothie, or make a matcha latte to jump start your morning. 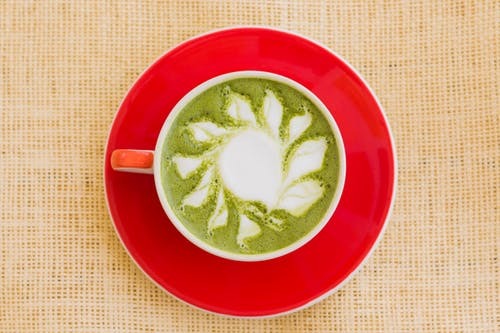 Matcha, unlike coffee, generates a long-lasting caffeine release. That means caffeine is released over four to six hours, rather than just an hour or so like coffee. You don’t need to fire up the oven or boil the jug to make use of matcha powder. If you’re having a movie night, or simply want a quick antioxidant-filled snack, you can sprinkle your matcha powder over your popcorn and other snacks. The powder creates a slightly exotic after taste, which pairs great with salty movie night snacks. If you’re not ready to dive right into adding matcha into your flour for an entire cake, muffin or brownie mix, then consider the next best thing – matcha icing. It’s not difficult to make and all you will really need to do is make a typical icing or frosting and add a few teaspoons of matcha powder to it. Take a look at this buttercream frosting recipe for some pointers. It’s a great way to add antioxidants to your baked goods, without the risk of adding too much to an entire cake mix. We’ve saved the best for last. 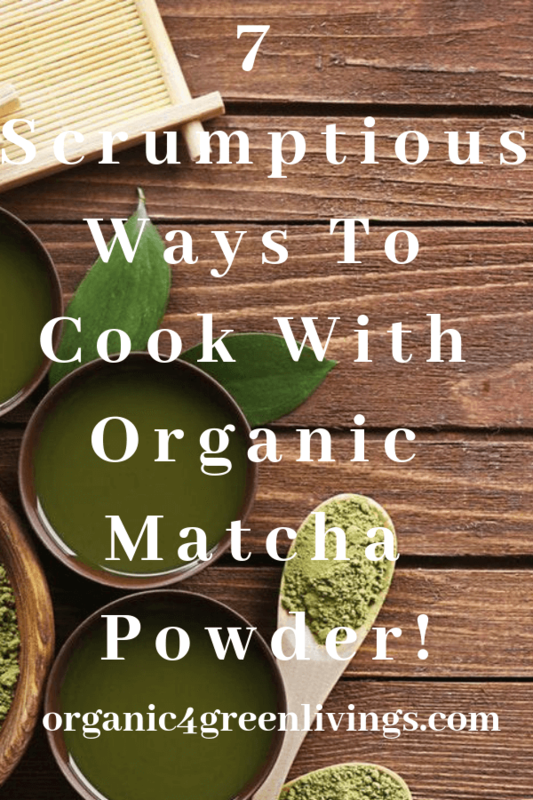 If you’re not too keen on adding a spoonful of antioxidant-filled organic matcha powder to your traditional meals and snacks, then go all out and create an entirely new one. Consider making green tea chocolate. Massively popular in Japan, matcha chocolate has an exotic taste and a texture that simply dissolves in your mouth. It’s the most authentic, audacious way to get a bunch of antioxidants and it’s a guilt-free treat you’ll be sure to love. Do you have any favorite matcha recipes? If so please share them in the comment section below! Please share this article to help spread the word of health and wellness to everyone you can.